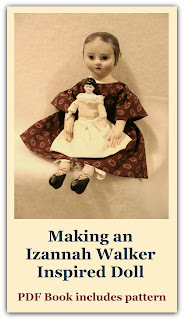 Izannah Walker Chronicles: Izannah Walker Doll or Not? Izannah Walker Doll or Not? 1) She's an Izannah doll that has been amended or fixed. 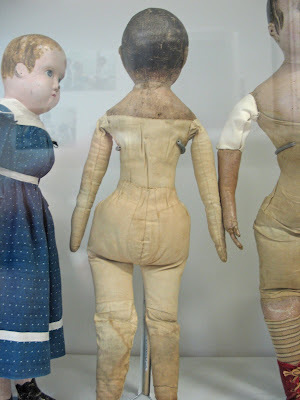 Perhaps she lost her body covering or was damaged in some way and some kind grandma gave her new arms and legs. Grandma did a nice job shaping the body, if that's the case. 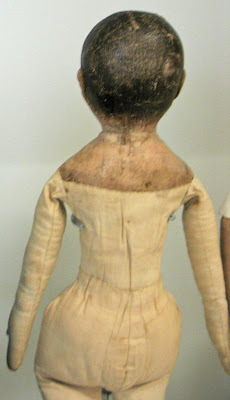 2) Perhaps she is a Jane Walker doll? 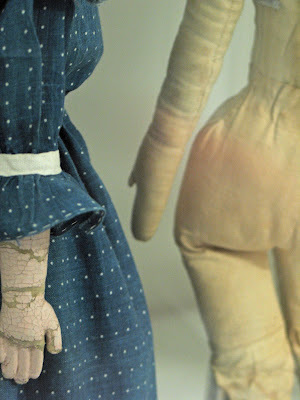 3) Perhaps she is a later doll made inspired by Izannah Walker made by someone else? 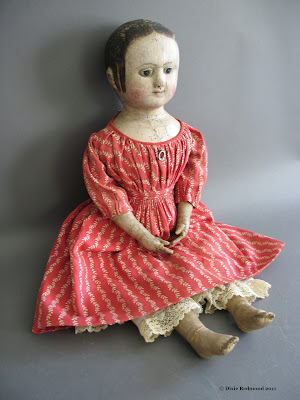 4) Perhaps she is an early Izannah Walker doll? Here are the pictures I was able to take. Apologies for reflections and ghosts of cameras. 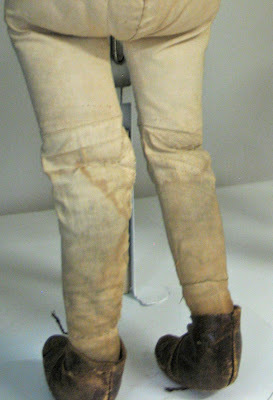 Very interesting Dix, this doll has the same lower torso as the 'Izzy' that was relisted? 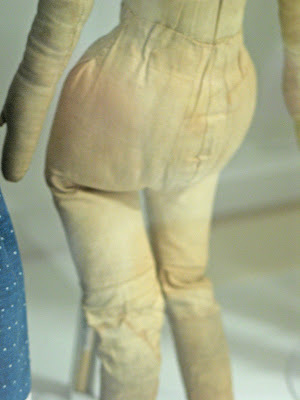 Wow, to only know the true origin of this doll. Were you able to see the front of the head? I didn't even notice this at first! But after looking closely I see those mitten hands! Wonder what the face looks like?? Denise - they wouldn't open the case...so I have no idea. Which is too bad!